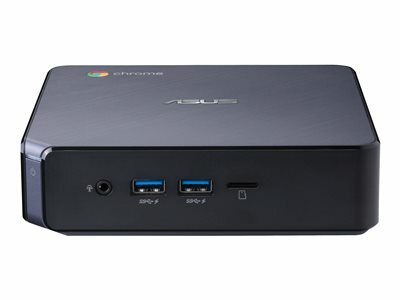 ASUS Chromebox 3 features a powerful processor and DDR4-2400 memory for faster, smoother and more energy-efficient performance. It gives you the ability to run your favorite mobile apps with the power of a mini PC. It also comes equipped with a versatile USB 3.1 Gen 1 Type-C port for data transfer, power delivery and DisplayPort functionality, and supports dual 4K/UHD displays for gorgeously sharp visuals and powerful productivity.